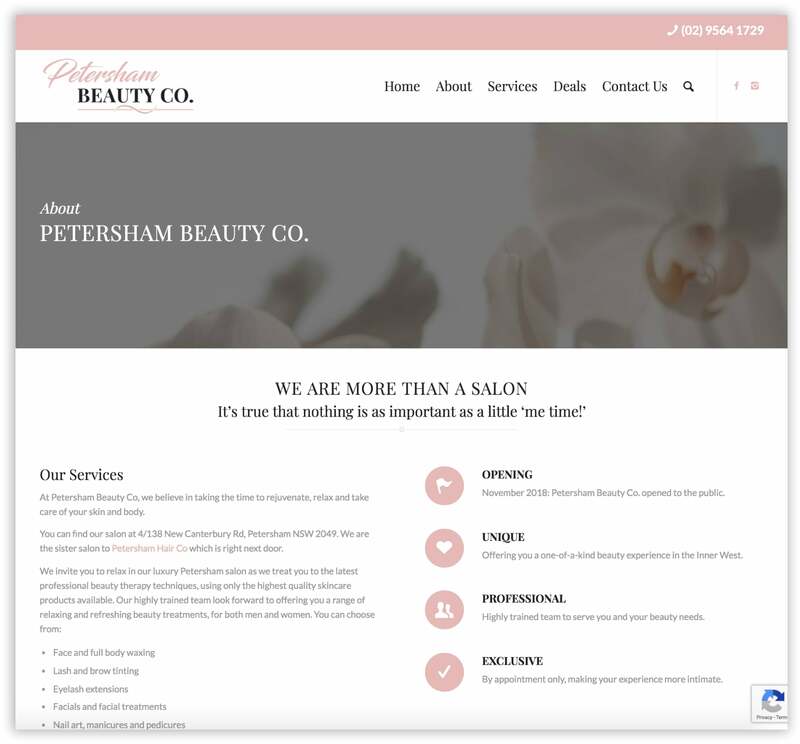 We designed and minimal yet beautiful beauty salon website for Petersham Beauty Co. It features a soft colour palette paired with an elegant font choice and emotive imagery. 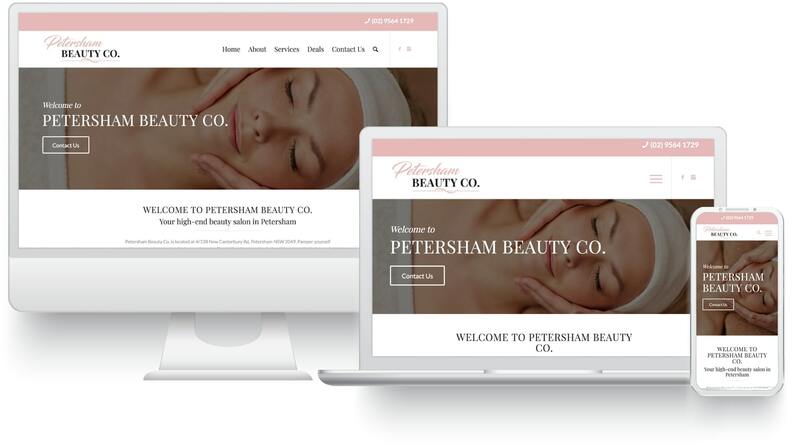 Find out more about our website design service here. Prominent phone number displayed in top header (and appearing on every page) encouraging visitors to make an enquiry. 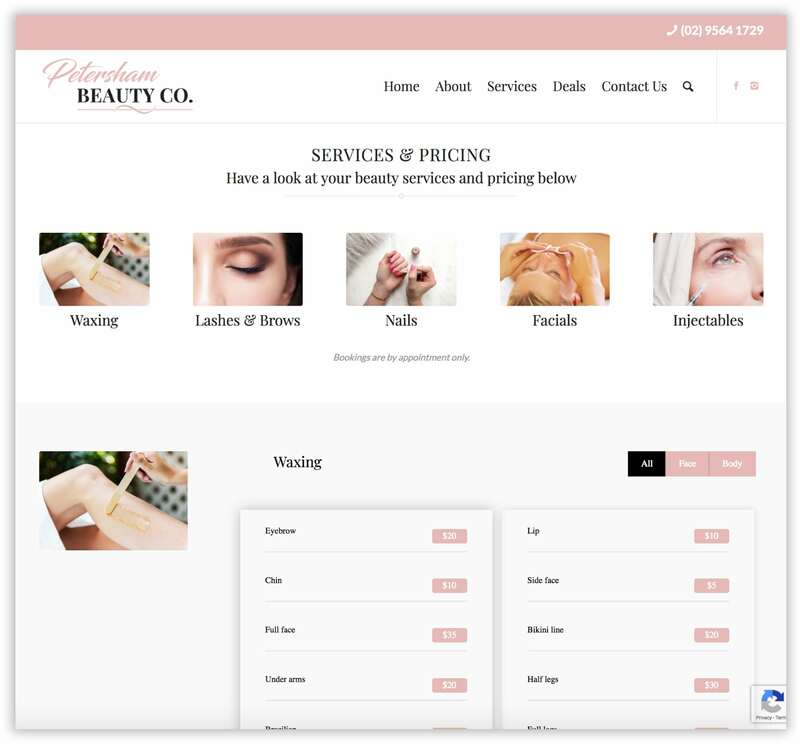 A combination of clickable images and text blocks direct visitors to other pages on the site: About, Services and Contact. 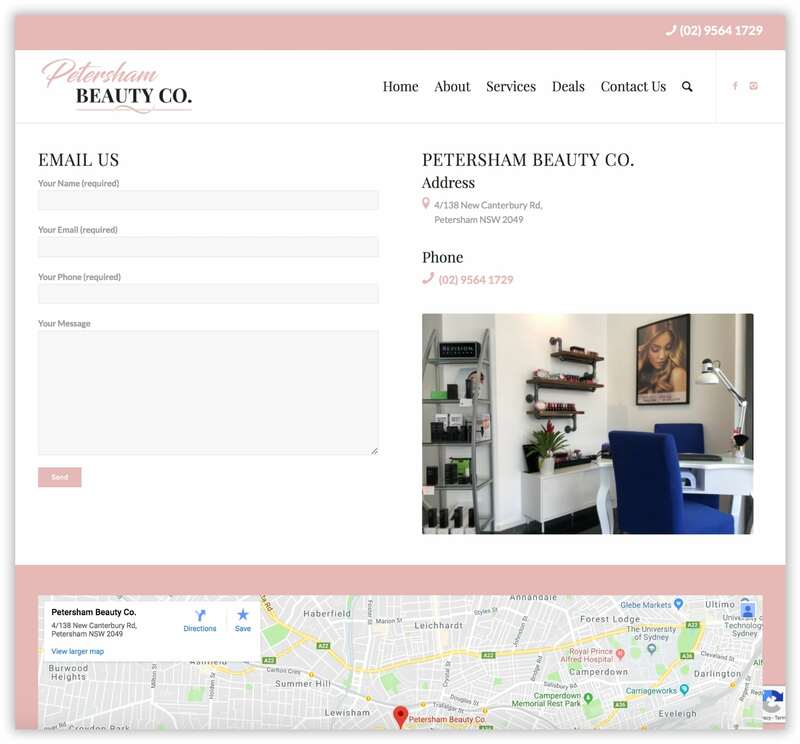 The about page is used to introduce the salon to new clients while providing some quick facts using vertically set icon boxes. Clickable service images at the top of the page cue the visitor to click on their desired service. The page then scrolls down to the corresponding row and shows the pricing table. 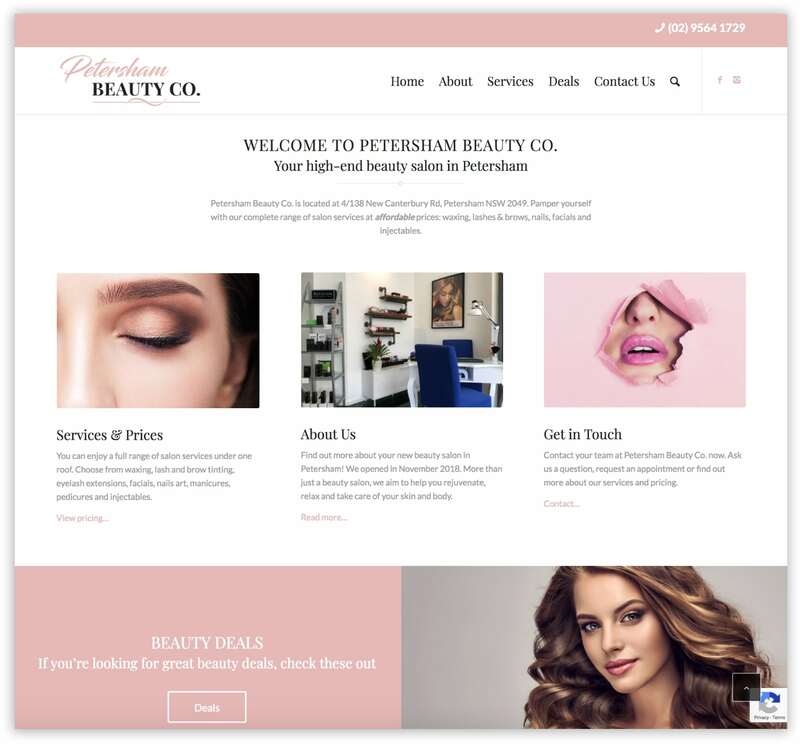 A simple yet well designed contact page is an absolute must on any business website. This contact page contains a contact form, address, phone number and embedded Google map.